The East Coast has been a long-time family favourite for settling down in Singapore. Its neighbourhoods are dotted with colourful shophouses, family-friendly cafes, awesome playgrounds (hello, Marine Cove!) and the beautiful East Coast Park (so big you’ll need a guide). 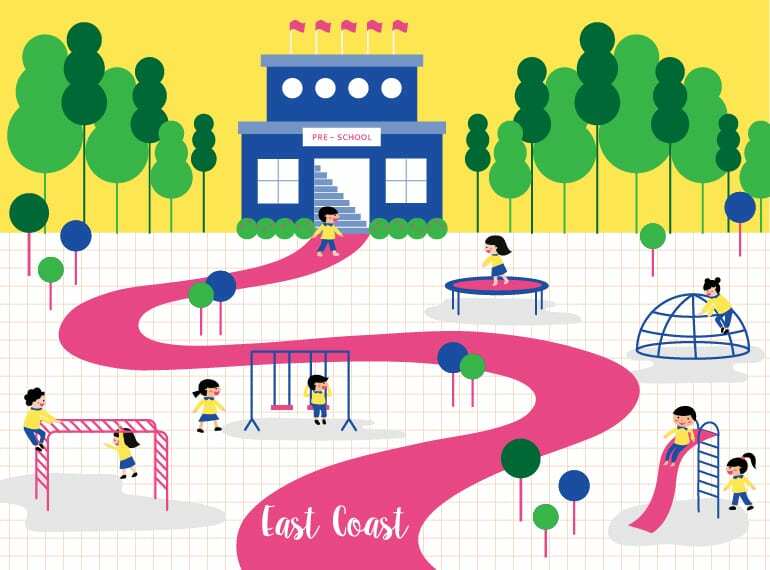 For parents looking for a preschool that complements their parenting style, there’s a lot to choose from in your neighbourhood: if you want someone to do more than mind your child, take a look at our list of recommended preschools, from play-based learning, to long-day childcare-style options, international schools to Montessori and Reggio Emilia-based curriculums, all on the East Coast. We’ve organised our picks according to popular neighbourhoods: Marine Parade, Bedok, Katong, Joo Chiat, Pasir Ris, Geylang, Simei, Loyang and Changi to help you find something close to home. Do you have a great preschool to recommend? Write to us at honeykidsasia@thehoneycombers.com and tell us what you love about it! EtonHouse; Odyssey The Global Preschool; Brighton Montessori; Shaws Preschool; Kinderland Preschool and Kindergarten; Apricot Academy; Modern Montessori Singapore; Talent Plus Group; Dreamkids Kindergarten. EtonHouse provides a supportive environment where children are encouraged to be inquisitive. EtonHouse International Education Group first opened its doors in 1995 and now has over 100 international schools across 12 countries. The school provides an engaging and supportive environment, where children are encouraged to be curious, and learn through experience and understanding. The EtonHouse preschool program follows its unique Inquire Think Learn Curriculum (ITL), inspired by the Reggio Emilia approach. It has won several awards for outstanding and innovative practice as well as for exceptional leadership in its team. EtonHouse has multiple branches in the East. 223 Mountbatten and 717 Mountbatten are licensed childcare centres, open from 7am-7pm throughout the year, while the branches at 718 Mountbatten and Broadrick Road follow the International Baccalaureate Primary Years Program. The school’s dual language program offers exposure to Mandarin as well as English to children over 18 months. All the branches are equipped with facilities to support academic and extracurricular activities, enabling students to reach their true potential. EtonHouse campuses on the East Coast are located around Marine Parade. Odyssey The Global Preschool’s curriculum is centred around experiential learning. Odyssey The Global Preschool has a teaching approach that revolves around experimentation, exploration and experiential learning. Odyssey is the first preschool in Singapore to offer a curriculum that combines the best features of the International Baccalaureate Primary Years Program (PYP) and Singapore preschool education. The school has a fully-equipped Reggio Emilia inspired campus for children from 18 months to six years: the Early Years program is for kids from 18 months to three years, and a Preschool Years program for students from N2-K2. 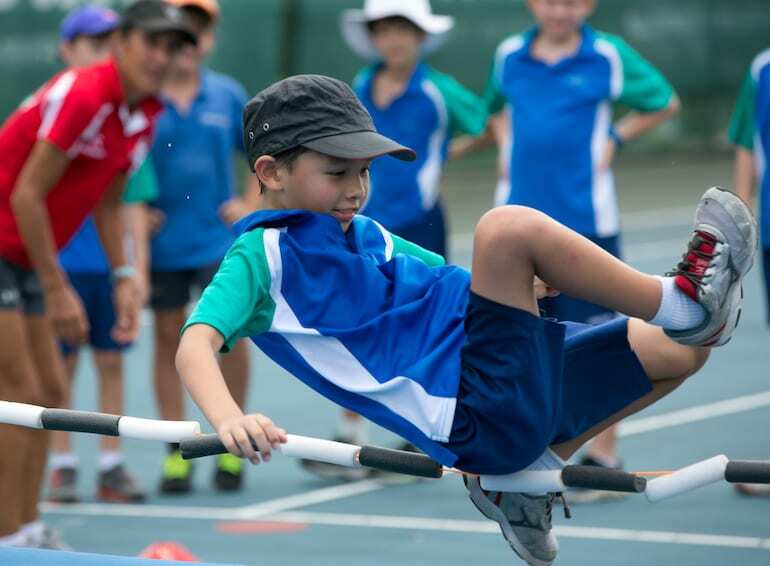 K2 students also undergo a six-month enhanced preparatory course with a focus on transitioning to primary schools. 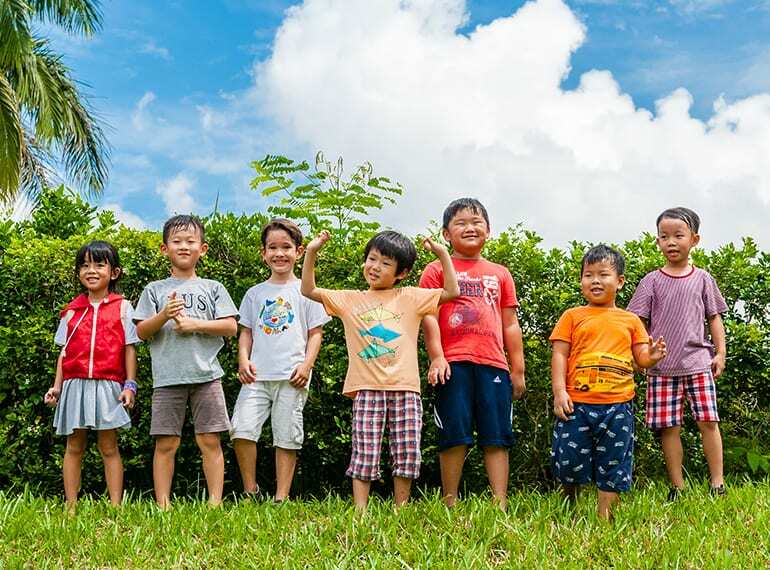 With full understanding of the significance of developing language skills at an early age, Odyssey offers full Mandarin immersion across all its classes, encouraging children to use language as a means of exploring another culture and way of life. Odyssey The Global Preschool has branches in Marine Parade and Pasir Ris. With over 20 years of experience in children’s education, Brighton Montessori is committed to giving children a creative, stimulating and supportive environment catered to their individual needs. Brighton Montessori has adopted a hands-on learning and one-to-one teaching approach. The school has classes from pre-nursery to K2 and offers full day childcare as well. The school’s carefully prepared environment is designed to encourage children to participate in the learning process, allowing them to explore their interests and express themselves freely. Brighton Montessori has three branches in the East at Marine Parade, Tanjong Rhu and Siglap. Shaws Preschool is one of the first play and activity based preschools in Singapore, and one of the longest running preschools in Singapore. Shaws Preschool has classes for children from 18 months to six years. It follows a project-based curriculum where teachers let students take the lead on a subject and help them to explore the subject in detail. The school also offers a Sports Program, Reading Program, Creative Mathematics, and a bilingual program in English and Mandarin for the pre-nursery class. Shaws Preschool has three campuses on the East Coast near Marine Parade. Kinderland has devised two remarkable programs: Kindermusic and Kinderfit. As a member of Crestar Education Group, Kinderland Preschool & Kindergarten is a leading regional provider of quality infant and child care services. It is a bilingual kindergarten and preschool education to children two months to six years of age. Its MOE-approved curriculum includes a Children’s Music Program, Kinderfit, a program aimed at improving cardio-wellness and teaching children healthy eating habits, Literacy through IT, and a Mandarin integrated curriculum. Kinderland provides infant and toddler care, Kindergarten (half-day programs), and a Preschool program that includes full-day childcare. Kinderland has multiple branches on the East Coast, in Marine Parade, Katong, Siglap, Pasir Ris and Upper Changi. Apricot Academy offers childcare for infants and toddlers, and preschool sessions for children above 18 months. Its bilingual centres combine features from project-based learning, multiple intelligence curriculum and elements of the Early Childhood Education program. Enrichment lessons include language lessons, speech & drama, abacus and swimming. 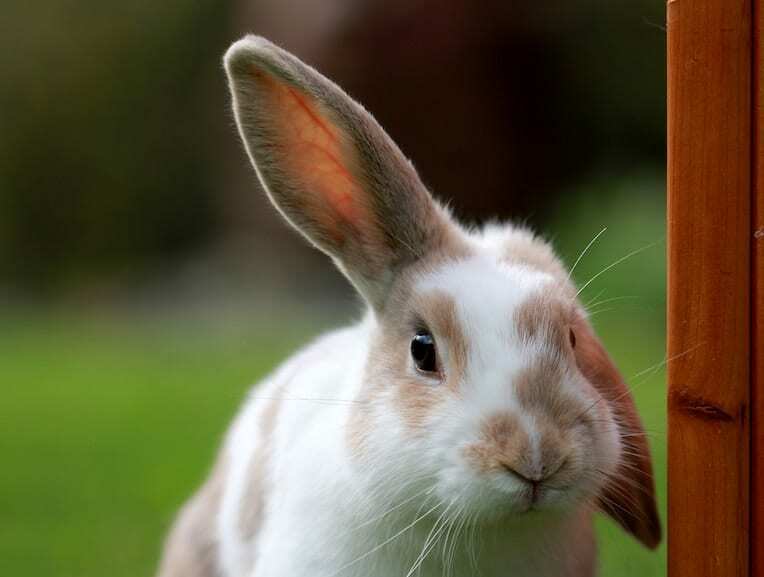 Apricot Academy offers full-day programs from Mondays through Fridays. It has a tiny tots and smart toddler playgroup for children from 18-36 months and offers nursery and kindergarten to children aged three to six. Apricot Academy has two branches in the East. Modern Montessori offers students a modern Montessori curriculum, designed to facilitate learning in students from 18 months to six years (PG-K2). The subjects include Mathematics, Phonics, Sensorial Education, Cultural, Practical life, and languages, all taught using the Montessori techniques. MMI believes that all children want to learn, and when given the freedom to explore, they become active learners. Adopting a child-centred philosophy, lessons are given individually or in small groups, encouraging each child to develop at their own pace. MMI has several branches in the East, including Marine Parade, Bedok, Tampines, Katong and Pasir Ris. Established in 1991, Talent Plus now has 90 branches and 26 years of experience in children’s education. The school offers a playgroup for children from 18 months to four years of age. Through a combination of Montessori training and Thematic Learning, the school has developed a fun-filled holistic curriculum that includes different topics, like sea creatures, zoo animals and road safety. Talent Plus has several branches across Singapore, including Marine Parade, Pasir Ris, Tampines and Bedok. Visit their website to find a branch closest to your home. The newly opened Dreamkids Kindergarten has big dreams for children to develop socially as well as intellectually. Dreamkids’ curriculum involves customised learning complete with future-ready skills such as public speaking, STEM education, coding and financial happiness. It offers several reading and phonics programs to develop an early mastery in languages as well as parent-accompanied Mandarin immersion programs for children aged 18-36 months. Its programs include playgroup for toddlers aged 18-30 months, N1 and 2 for children aged three to four and K1 and 2 for children aged five to six. GIIS’ curriculum includes its internationally renowned Nine Gems model. As a global and international school, GIIS values a holistic approach to learning, promoting happiness among the students to nurture life-long learning. GIIS cultivates an environment that maximises development and delight through well-lit, open spaces and numerous school facilities including Montessori labs and even a toy library; the internationally renowned GIIS Nine Gems model, including self-learning, peer-learning and group learning; and a motivated and enthusiastic staff. With each student’s experience tailored to their individual preferences and capabilities, GIIS employs the best practices to cultivate their students from preschool and beyond to become tomorrow’s leaders. 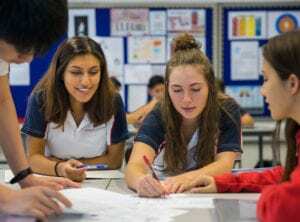 Chatsworth International School is an internationally-minded community of students, academic and support staff, collaborating to provide a holistic learning experience. 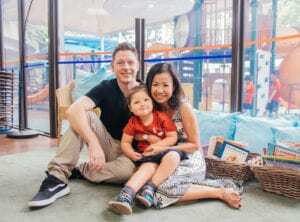 With a mission to Inspire, Educate & Enlighten, Chatsworth has a preschool in Bedok that is registered with Early Childhood Development Agency that offers local curriculum for children aged 18 months to six years. 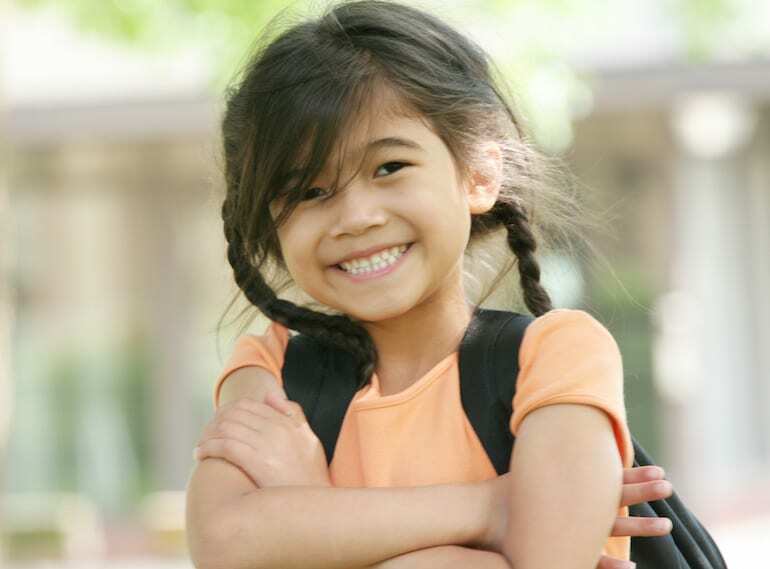 Ripples Montessori has been providing quality preschool education since 1996. The school has a small boutique feel and a flexible approach to teaching, adapting to meet the varied abilities and interests of each child. Using the philosophy and principles based on the Montessori method of education, Ripples Montessori aims to shape children into well-rounded individuals who are kind and socially responsible. The school’s curriculum is tailored to include practical life exercises, sensorial training, communication, language and literacy, Mathematics and cultural subjects. Ripples Montessori offers a playgroup for children aged 18 months to 2.5 years, N1 and 2 classes for children aged 2.5 years to four years, and K1 and 2 classes for children aged four to six years. Babyplanet is a quality infant care facility managed by specialists trained in Early Childhood Education. It offers full day, half day as well as flexi-care programs for infants aged two months and up. Babyplanet also has a preschool for children from 18 months-six years, Planet Montessori, which has a successfully integrated Montessori curriculum, offering half day and full day programs. Planet Montessori focuses distinctly on topics such as Culture and Science, Practical Life, Mathematics and Mandarin. There is also ample opportunity for outdoor play. Paper Scissors Stone’s small campus overflows with warmth. PSSMK started in 2003 with a passionate goal of facilitating early childhood development through hands-on experiential learning in a mixed age environment. The school has adopted an innovative approach, combining the best features of the Montessori training with the contextual, investigative approach of Project Work. Teachers use creative teaching materials, interactive games, stories and songs to make learning an extension of play. The teacher-to-children ratio is capped at 1:10 so contact time is maximised. The school offers a morning and afternoon session of three hours each from Monday to Friday. Both branches are located in the East at Bedok and Simei. CIS Tanjong Katong has an amazing new Outdoor Discovery Centre. 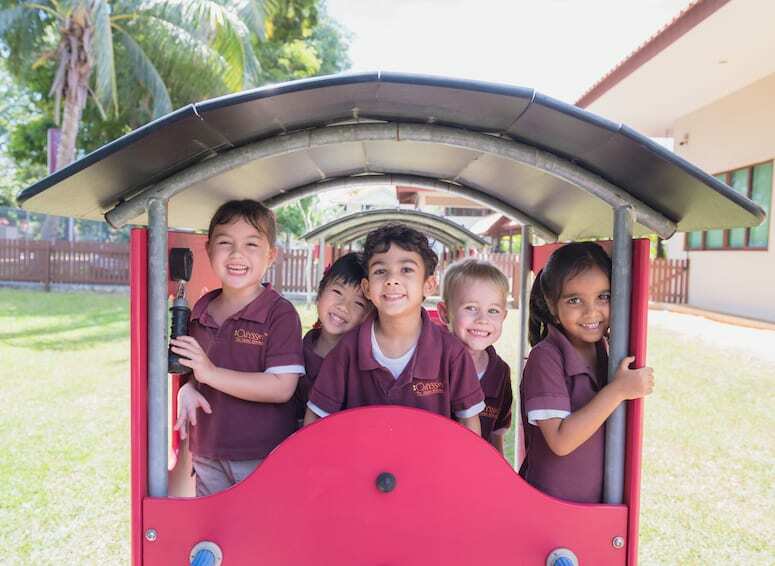 As a leading IB school in Singapore, Canadian International School offers the Primary Years Program from pre-kindergarten. CIS pioneered the STEAM approach (Science, Technological, Entrepreneurship, Arts and Mathematics), an interdisciplinary system which allows students to think creatively and innovatively and explore solutions in a safe and supportive learning environment. The school has two campuses located at Lakeside, (Early Childhood to Grade 12) in the West, and Tanjong Katong (Early Childhood to Grade 6). 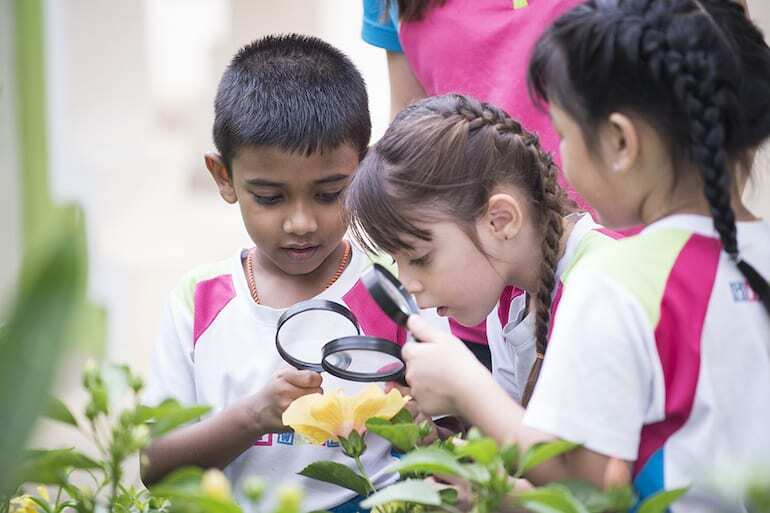 The Tanjong Katong campus has a newly opened Outdoor Discovery Centre, furthering its commitment to inquiry and play-based learning. Pat’s Schoolhouse; Rosemary Hall Montessori Katong Childcare Centre; Montessori for Children; Shaws Preschool; Kinderland Preschool and Kindergarten; Apricot Academy; Modern Montessori Singapore; Chatsworth International School. Since 1988, Pat’s Schoolhouse has been well known for its dedication and commitment to early childhood education. It nurtures students to be Bold, Vivacious and Inspiring, and to celebrate every moment of their childhood. 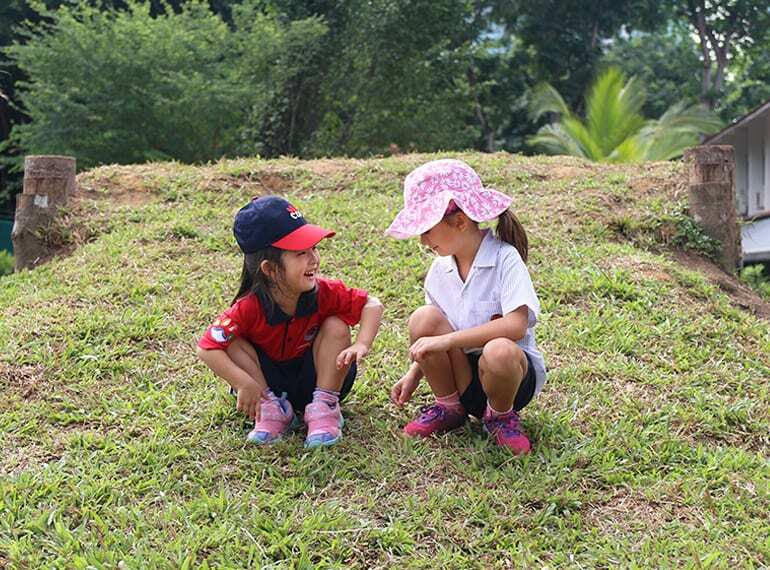 The school’s exceptional bilingual immersion core curriculum combines features from internationally-renowned programs within the framework of local Singapore schools. 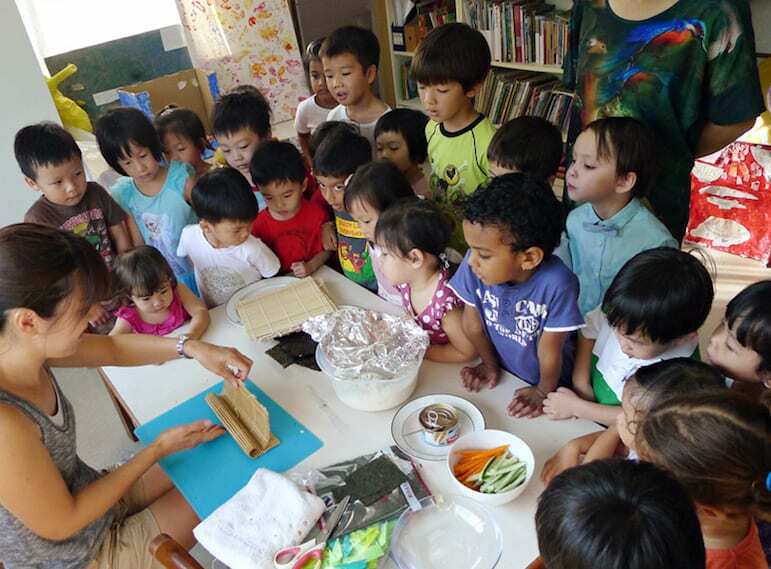 Using the thematic approach, children from 19 months to six years are taught a diversity of topics ranging from Art and History to Natural Science, in both English and Mandarin. Pat’s Schoolhouse is located at Katong and Siglap on the East Coast, and remains a favourite for its warm and welcoming environment. Rosemary Hall’s Montessori-based curriculum places great importance on grooming its students to build strong Character, be Confident and Creative. Its teaching methodology draws inspiration from the Early Years Foundation Framework and the Montessori curriculum. The classes allow students to learn basic concepts such as letters and numbers through an array of imaginative and interactive experiences, including sensory and tactile play, which reinforces their learning and encourages them to be independent learners. The school also provides a range of Afternoon Enrichment Programs, including English and Chinese Speech & Drama. 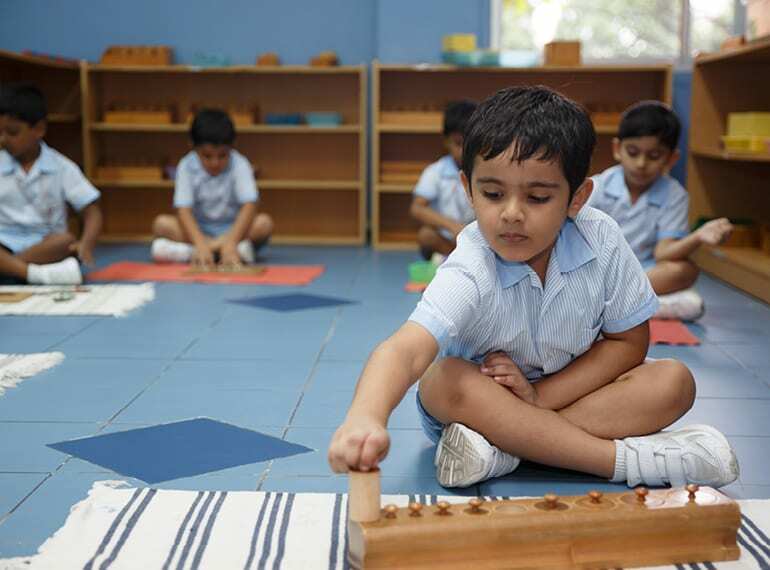 Montessori For Children believes in creating a ‘stress free’ environment, placing its students in classes of mixed ages from 2.5 to six years of age and keeping them in the same class until they graduate. Younger children can learn by observing their older classmates who, in turn, reinforce their own understanding of topics by helping the little ones. The school has specially designed Montessori classrooms with a ‘prepared environment’, which allows children to learn at their own pace and builds self-motivation. 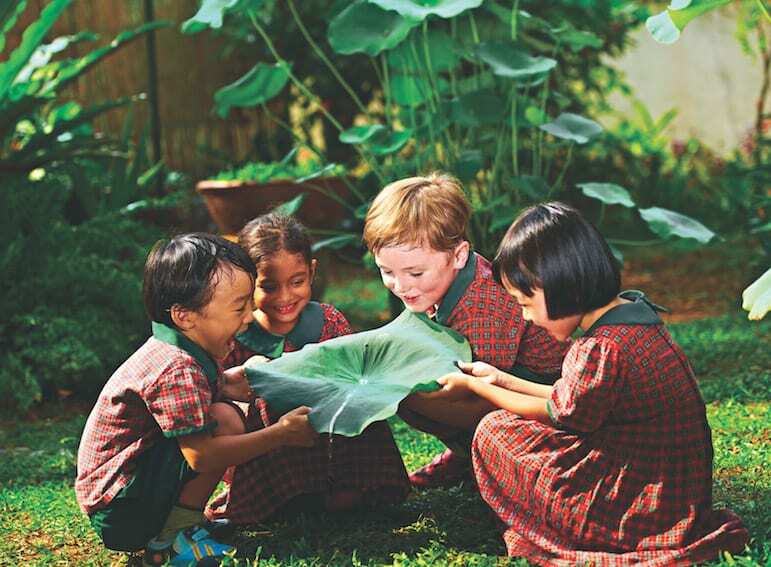 Montessori for Children has two branches in Singapore, one of which is in Katong. Rosemount International School recognises that every child is individual and as such ensures that the learning journey is tailored to each little’s one’s abilities. The low student-to-teacher ratio means each child receives individual attention and a holistic approach lets every student’s personal, social, physical and emotional strengths shine through. The inquiry-based curriculum encourages students to question, explore and communicate their way to learning success, the fun way! With it’s 20-year-anniversary happening next year this is the best time to take a school tour to get a feel for this warm and friendly school that parents love as much as the kids do. Younger kids are not forgotten either: there’s a special playgroup programme for tots age two to 24 months with sessions full of art, craft, music, sensory play and interactive games. Pink Tower Montessori aims to educate children through Montessori principles and fostering the holistic development of its students. The school creates individual lesson plans for each child and adjusts to their pace. Pink Tower Montessori also incorporates a Bilingual Immersion Program and Primary One Preparatory Program into its curriculum. The school offers a playgroup and N1 to K2 programs and boasts an excellent teacher-student ratio and a high-quality learning space. If you are looking for a school with strong Christian ties, then Charis Montessori might be for you. Bible stories are made fun and relevant through songs, dance and drama and children have the chance to express themselves during circle group discussions and the year-end concert. All core subjects (Phonics/English, Mathematics and Mandarin) are taught one-to-one or within small groups using Montessori materials. The school also has opportunities for imaginative play, where kids can dress up in costumes and play with toys like building blocks and mini supermarkets. 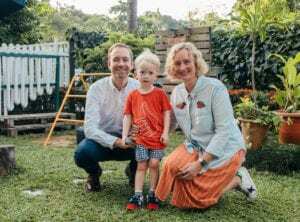 What first started out as a playgroup in 2003 with a common goal to promote Waldorf education in Singapore, Waldorf Steiner Education Association Singapore has now expanded to a nursery and kindergarten. The association prizes careful and conscious study of children as well as a comprehensive understanding of the child through all developmental stages. The program comprises of free play, circle time, bread making, craft making for parents, story time (using handmade props and puppets) and snack time. 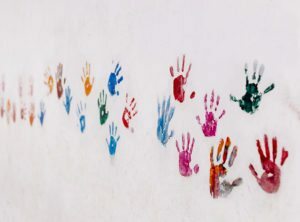 The preschool provides a home-like environment where children are encouraged to participate in free-play as well as meaningful activities such as crafts and baking. 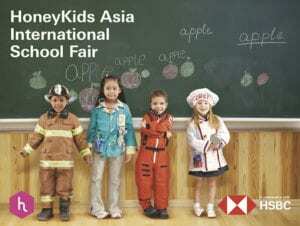 The Overseas Family School is an international school for expat families in Singapore that offers the International Baccalaureate Curriculum for Kindergarten until Grade 12. It is accredited by the Western Association of Schools and Colleges, USA, registered as a Cambridge International Examinations Centre, UK, and with the Council for Private Education, Singapore. Overseas Family School offers the International Primary Curriculum (IPC) to students in Pre-K1, Pre-K2, K1 and K2. Children are taught using engaging and relevant thematic IPC units of work, designed around a clear process of learning. HANIS Learning Centre’s mission is to provide an innovative, creative and fun learning environment for Muslim children, encouraging total development in terms of emotional, spiritual and physical aspects. It has been pioneers in Arabic Montessori and Malay Montessori and covers the full Montessori curriculum as well as the Islamic Curriculum. HANIS Montessori Kindergarten’s Super Wonder Kids Program is designed for children aged three to six years old and classes are held five days a week. The school has a comprehensive duniawi and ukhrawi syllabus and organizes monthly thematic excursions that are enriching for children. Hanis Montessori has two branches in the East at Pasir Ris and Tampines. MY World Preschools was founded by Metropolitan YMCA and has been nurturing students since 1980. It offers quality child care and preschool education that emphasizes character development and building strong values in its students. MY World uses a special ‘spiral’ approach, revisiting old concepts and skills as new ones are learnt. It adopts a learner centric and inquiry-based approach and offers programs for children from two months to six years – these include infant care, playgroup and N1-K2. UWCSEA is a mission-driven school with a passionate belief in the importance of education as a force for good in the world. 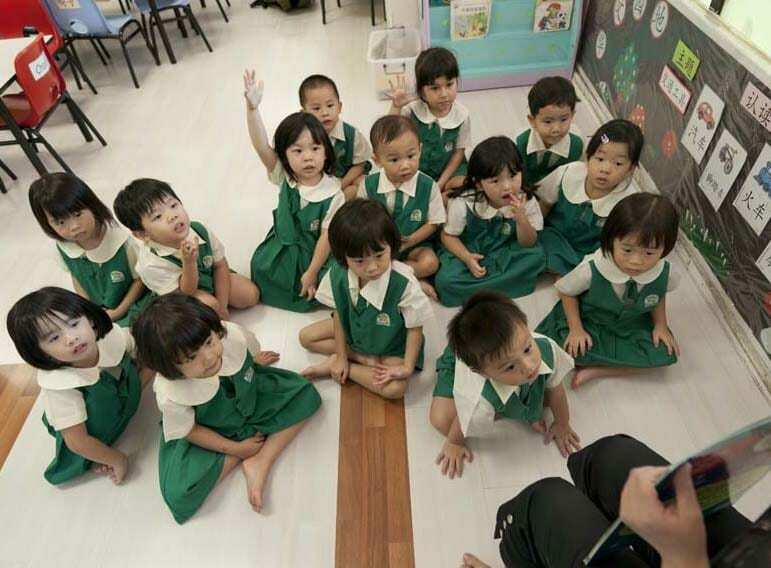 Its infant school program starts at K1 for children from ages four to seven. Inspired by the Reggio Emilia philosophy, the program combines the best of academics, outdoor activities and social education. Located in Tampines, its purpose-built campus opened in 2010 and is favoured for its sustainable design. UWCSEA is a not-for-profit organisation and has 15 schools and colleges located around the world. Dedicated to providing children with an environment that values long term emotional and intellectual growth, since 1999, White Lodge has since flourished. Incorporating the theories of High Scope, Reggio Emilia and Howard Gardner into its teaching guidelines, the school places tremendous importance on creative education for young children. White Lodge offers a range of programs for children aged 1.5 to 5.5 years. Each centre is equipped with a library, outdoor play equipment, and facilities for water and sand play. See Bedok for the full description. Phew! That was one BIG list. Hope it helps!